Top Romanian designer Alexandra Popescu-York, based in New York, will introduce her new luxury collection “Desire” on September 9, 2018 at 6:00 pm during the 28th season of Couture Fashion Week New York. The highly-anticipated runway show will be held at the Crowne Plaza Times Square, 1605 Broadway in New York City. “Desire” tells the story of a refined, modern woman and it was created to be worn wherever she goes. The collection blends sophisticated accessories and uncommon materials, through which the creator conveys emotion and astounds every time. This is Alexandra Popescu-York’s 10th consecutive season showing athe prestigious New York Fashion week event. She is so far the only artist and designer in the world who has presented both a fashion couture collection and a painting exhibition during the same event. During the event, the public will be able to see two amazing paintings by Ms. Popescu-York. The first is entitled “Desire” after her couture collection, and the second was made for CFW founder and producer Andres Aquino, one of her biggest fans. The influence of entire centuries and art movements will be seen in the articles and costumes created by Alexandra Popescu-York, all part of a creative process where originality is the primary driving force. Her fashion collections, as well as her canvases, are imaginative and original, unconstrained in both their expressiveness and choice of materials. Elegance in fashion is seen as an act of simplification, renunciation and finally, elimination. When fashion becomes part of a show, as is the case of Ms. Popescu-York’s work, the appeal is cumulative. Alexandra Popescu-York has been painting since the age of three and studied fashion design and plastic arts at the University of Arts in Bucharest. Now settled in the USA for over ten years, she has an impressive record of both national and international fashion shows and exhibitions. Among her many awards and accolades are her inclusion in the presentation of “Couture Fashion Week’s Best Designers” line-up of September 2016 and the inclusion of her paintings in the Art Exhibition at the 70th Anniversary of the United Nations in New York. What defines Alexandra Popescu-York as a fashion designer is the interplay between plastic arts and fashion. Her dresses are inspired by famous Romanian paintings, but also by the works of great masters and modern artists. Producer, designer and entrepreneur Andres Aquino will present his latest collection entitled “Tango Cabaret” on the runway during Couture Fashion Week New York’s 28th season at 8:00 pm on Saturday September 8, 2018. The fashion show and entertainment spectacle will be held in the Broadway Ballroom of the Crowne Plaza Times Square, 1605 Broadway in New York City. 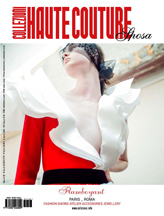 The beautiful “romantic couture” collection is inspired by Andres Aquino’s upcoming book of poetry book, “Legende de la belle.” The fashion designs will be accessorized by custom made handbags by D & L Prototype from Italy. An array of celebrities and influencers is expected to attend and/or participate in the event, including Washington Redskins defensive back DeAngelo Hall, who will receive the CFW Humanitarian Award for his charitable efforts. Also from the sports world, retired basketball great Charles Davis and his wife will be on hand to witness the fashion week runway modeling debut of their teenage daughter, Niija. Expected to attend the event from the music, film and press world are recording artist Carson Key; music producer and Grammy nominee, Lee Major; and film producer “Picture Perfect,” as well as Jennifer Eckhart from the FOX Business Channel. The show will also feature live performances by international artists including Chinese music superstar BING, Broadway star Angela Michele Walker, opera star Oleksandra Hrabova, and Anna Khachatryan who will perform a special dance and choreography for the release of BING’s new record. From the world of beauty, the show will include appearances by Top Model of the World Ukraine 2018 Oleksandra Kashyrina, along with Miss Bikini Hawaii Model USA 2017, Candice Leong, Miss Global 2017 Barbara Vitorelli, and Miss Earth 2015 Angelia Ong. During the event a special announcement will be made, launching “Q”, the first true glasses-free 3D phone connected to Qoobex, the first global 3D distribution platform. In her second appearance at Couture Fashion Week NY, Florida-based designer Nailuj Villarroel will present her latest collection on the runway at 6:00 pm on Sunday September 9, 2018. The fashion show will be held at the Crowne Plaza Times Square, 1605 Broadway, in the heart of the Big Apple. A native of Venezuela, Nailuj Villarroel earned a degree in fashion design from the Monsignor of Talavera Fashion Institute in Caracas. For the past 16 years she has pursued a career as a fashion/wardrobe and costume designer in central Florida, USA. She has worked at the three most important theme parks in the area: Disney World, Universal Studios and Sea World. She supervised the costume shops of well-known local production companies Metropolis Productions and World Gate Entertainment, including working on such projects as the “Living Statues” for Disney Springs and Epcot, and the Give Kids the World Gala, among other important events. Nailuj also worked as wardrobe designer and producer for the “365 Tiempos Decisivos” film by Golden Brothers Productions, directed by Ariel Santiago. In addition, Nailuj has presented her designs on various local, national and international fashion runways including Winter Park Fashion Week – Emerging Designers Contest, Orlando International Fashion Week, Discover Your Beauty Fashion Show, Car & Couture Fashion Show, Fort Lauderdale Fashion Week, Couture Fashion Week New York and Dominican Republic Fashion Week. Nailuj has also served as an Exclusive Fashion Designer for Little Miss Universe and other beauty pageants including Miss Puerto Rico US, Miss Mundo Latina, Miss Central Florida USA, Miss Hispana International, and Miss Iberoamerica. Nailuj was honored to dress Angel Lopez for the Premios Lo Nuestro 2018, Ivy Queen (Puerto Rican Regetton Performer), Migbelis Castellanos Miss Venezuela 2013, and Tatiana Liary for the Latin Grammy Red Carpet 2015, as well as the pop duet Sykno when they were nominated at the Latino Fama Awards in New York in 2017. She also made all the stunning flags, by special request, that were shown during the opening of the Latin Grammys for the Residente “Hijos del Canaveral” performance. Nailuj Villarroel currently manages her own company, Ian Productions, Inc., where she designs and produces haute couture costumes and garments under her own brand for special events like the Latin Grammys and the Premios Lo Nuestro. She is also a member of the Advisory Board of the Fashion Institute in the Orlando area, and serves as a mentor to several up-and-coming design students as they build their careers. Nailuj is an Ambassador of the Orlando Fashion District and Fashion Editor for their online magazine. She looks forward to the day that Orlando becomes a major fashion hub. She will soon launch the website www.nailujvillarroel.com which will offer online shopping for her new clothing lines, Nailuj Villarroel Couture and NAILUJ-JULIAN, for women and men. Sheri Autry will present her Spring/Summer 2019 collection, “A Midsummer Night’s Dream,” at Couture Fashion Week on Saturday, September 8, 2018 at 4:00 pm. Marking the designer’s second appearance at the prestigious event, the runway show will be held at the Crowne Plaza Times Square, 1605 Broadway, New York City. Sheri Autry has been sewing for over 20 years, learning from her grandmother at the age of 10. Today, Sheri fashions stunning collections of couture gowns and lingerie crafted from the finest imported silks, laces, and illusion fabrics enhanced by unique, one-of-a-kind, embellishments. She has been a featured designer at the International Couture Presentation (ICP), several Washington, DC and Baltimore, MD area bridal expo shows, and most recently at the Couture Fashion Week show during New York Fashion Week in September 2017. Her fashions have recently been worn by local celebrities including Miss Maryland 2018, Adrianna David, and have been featured in Grace Ormonde Wedding Style Magazine, Most Magazine, Munaluchi Bridal Magazine, Shutter Magazine, Elegant Magazine, Style Me Pretty Blog, South Asian Bride Magazine, Valley Bride Magazine, Virginia Bride Magazine, and Editorial Magazine. After a successful NYFW debut last year, Sheri has returned to present her new collection of high fashion evening gowns as well as a few new bridal gowns. In this collection, like her past collections, Sheri has put her main focus on the fine details of each dress with lots of hand beading, hand cut flowers, individually placed feathers, and hand applied Swarovski crystals. In addition, Sheri has added a special detail to a couple of the dresses to be revealed to the audience at the show. The additional detail she has incorporated this season is sure to light up the runway…. be there to see it in person! Designer Ellen Wise will present the latest collection for her signature label on the runway at Couture Fashion Week New York on Saturday, September 8, 2018 at 6:00 pm at the Crowne Plaza Times Square, 1605 Broadway, New York City. Ellen Wise Couture is a California couturier who brings her vision to the timeless art of custom couture. Each garment is designed and handcrafted to each client’s form using only the highest quality natural fiber fabrics. Often termed ‘Slow Fashion’, Ellen Wise garments are ageless creations of unmistakable grace and elegance. It is the fusion of art, science and a discerning eye that enable Ellen to visualize and ultimately create each finished piece. Her focus on magnifying femininity by shaping the finest materials to develop line and form while adhering to the strict rules of true couture has never been more apparent than with her latest work. Drawing inspiration from the exquisite fabrics she’s selected, Ellen designed her newest collection using the moulage method, in which patterns are draped and perfected on the dress form. Ellen’s formal couture training includes intensive study with well-known couturière, author, and teacher Susan Khalje. Ellen also studied extensively with Parisian master draper and pattern maker, Julien Cristofoli. Designer Pawan Kumar will debut his New Miuz Spring/Summer 2019 collection, “Midnight Blues,” in a Couture Fashion Week New York showcase on Saturday, September 8, 2018 at 6:00 pm at the Crowne Plaza Times Square, 1605 Broadway, Manhattan. Following New Miuz’s successful debut at Couture Fashion Week in 2016, Pawan returns this season with a highly-anticipated line of evening wear inspired by the tropical island nights of Mauritius. Known for feminine silhouettes and luxurious fabrics, he has broken new ground with this collection by featuring sustainable and eco-friendly denim in sophisticated, clean, and elevated designs. 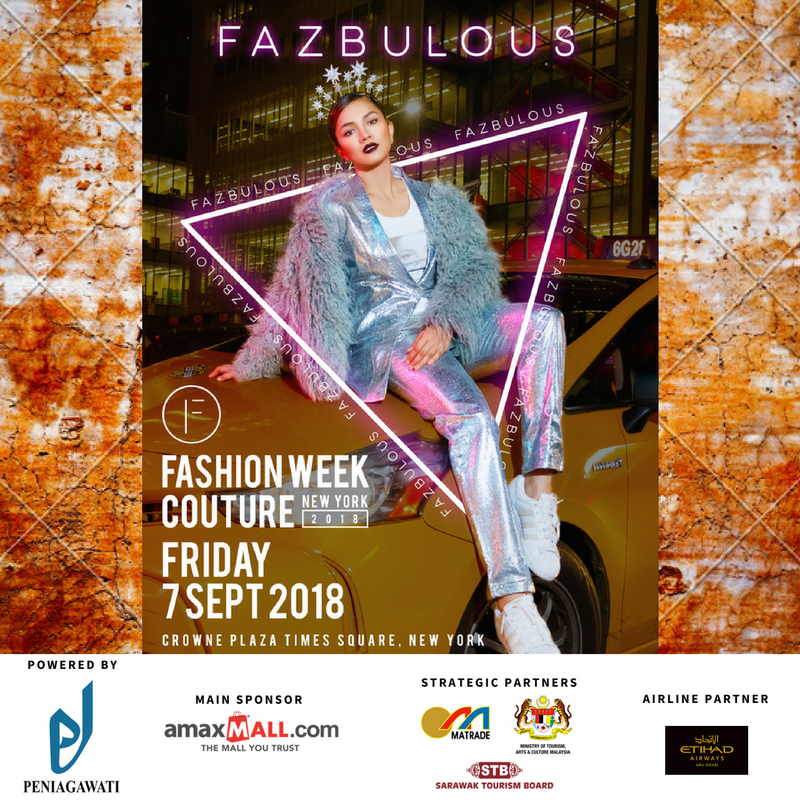 Pawan, an award-winning fashion innovator with an extensive background in textile technology, was Mauritius’ first designer to be featured in New York Fashion Week. The designer drew this season’s inspiration from his native country, explaining, “There is nothing more soothing than to lay in a hammock at night and watch the deep blue sky in Mauritius.” Elegant, feminine and alluring, the colors and shades of the collection reflect the night sky, while the fabrics, cuts and silhouettes draw inspiration from that serene and calm feeling. The collection takes denim and turns it on its head, from an everyday material to something exquisite, precious and high- end. With the addition of pearls and stardust to add glamour, the collection is ultra-feminine and highly sophisticated. Designed to enhance the female form, each sustainable couture garment captures the identity of the young uptown woman. With hand-made plissé fabric, and original patterns developed from scratch, all garments are hand dyed and hand stitched, of striking quality and unique design. The environmentally responsible denim garments used in Pawan’s “Midnight Blues” collection were created utilizing laser technology of Jeanologia, Spain and produced at SaitexVietnam using TENCEL™ x REFIBRA™ Lyocell, among of the most sustainable fibers in the world. Cotton scraps upcycled from garment production and wood pulp harvested from responsibly managed farms are transformed into new virgin fibers through Lenzing’s environmental award-winning TENCEL™ closed-loop lyocell production process. The fabrics are woven by textile mills worldwide including Santanderina, Blue Diamond, Prosperity, Cone and Tintex, whose fabrics are used in this collection. In addition to their botanic origins, TENCEL™ x REFIBRA™ Lyocell fibers live up to circular economy expectations as they are fully compostable and biodegradable in both soil and water at the end of their useful life. About the designer. Inspired by the tropical beauty of his native island of Mauritius and steeped in global culture, Pawan Kumar brings a unique blend of creativity, innovation, and technical expertise to his label New Miuz. His elegant designs explore themes of the natural world, multiculturalism, feminine sophistication, and opulence. A rising international fashion design star, he made his debut at Dubai Fashion Week in 2015, where he was awarded “Designer of the Year,” for a vibrant collection of lush, couture gowns with hand-finished embellishments. He studied textile and fashion design at the University of Mauritius in Moka and joined the multinational design studio, Ciel, following graduation. His global success as the first Mauritian designer to present collections in Dubai and New York fashion weeks has made him an influential fashion leader and noted public figure in the island nation’s emerging economy. In Spain, Pawan built a longstanding relationship with world-renowned textile innovator, Jeanologia, and expanded his knowledge of socially conscious, technology-driven fabric finishing techniques. Drawing on his extensive knowledge of sustainable textiles, as well as consultative roles through Jeanologia with leading global fashion brands, including, Uniqlo, J Brand, Helmut Lang Cotton des Iles, Asos, Lenzing and Woolworths, he creates fashion-forward, eco-friendly denim styles in his role as the Design Manager for Jean Atelier in Los Angeles. 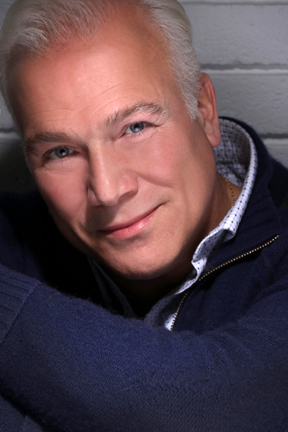 His couture designs and collaborations have been featured in a wide variety of global press and media. Pawan currently lives in the urban jungle of Los Angeles, but considers himself a global citizen, with frequent visits to Mauritius and the world fashion centers of Paris, London, Barcelona, Cape Town, and Dubai. “Flowers and Butterflies,” the latest handbag collection by dynamic Italian fashion start up D&L Prototype, will be introduced by designer Andres Aquino during the upcoming 28th season of Couture Fashion Week New York. 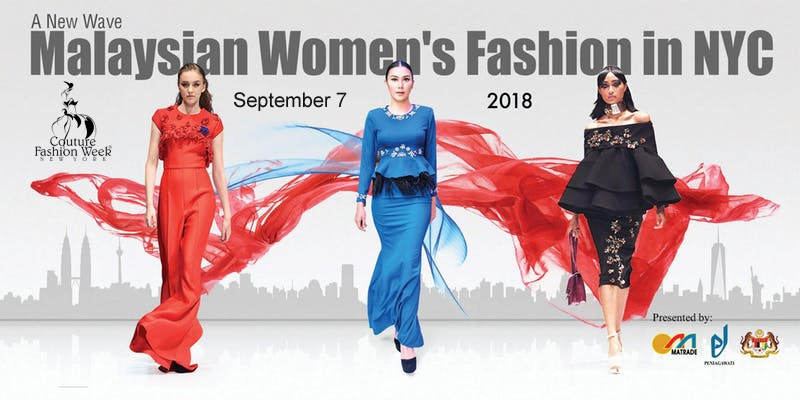 Marking D&L Prototype’s premiere appearance at the prestigious event, the fashion show will be held at 8:00 pm on Saturday, September 8, 2018 at the Crowne Plaza Times Square Manhattan in New York City. 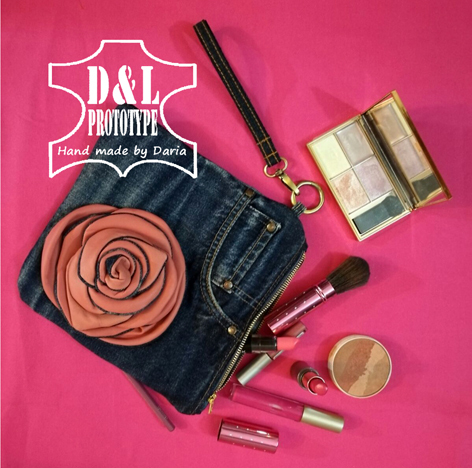 D&L Prototype stands for Denim and Leather Prototype Hand Made by Daria. The hand crafted Italian accessories brand was launched in 2015. The label’s distinctive designs include casual/street style bags (woman and unisex) as well as creative and exclusive handbags to complete luxury and haute couture outfits. D&L Prototype also designs a personalized line of accessories for vintage motorcycles (recovered seats, helmets, etc.). With a passion for couture, all D&L Prototype designs are impeccably crafted by hand in limited editions. They feature great attention to detail and high-quality natural materials including genuine Italian leather, refined fabrics and components. Each item is unique, imbued with impeccable Italian taste and performance, bringing out the personalized and eclectic style of the wearer.